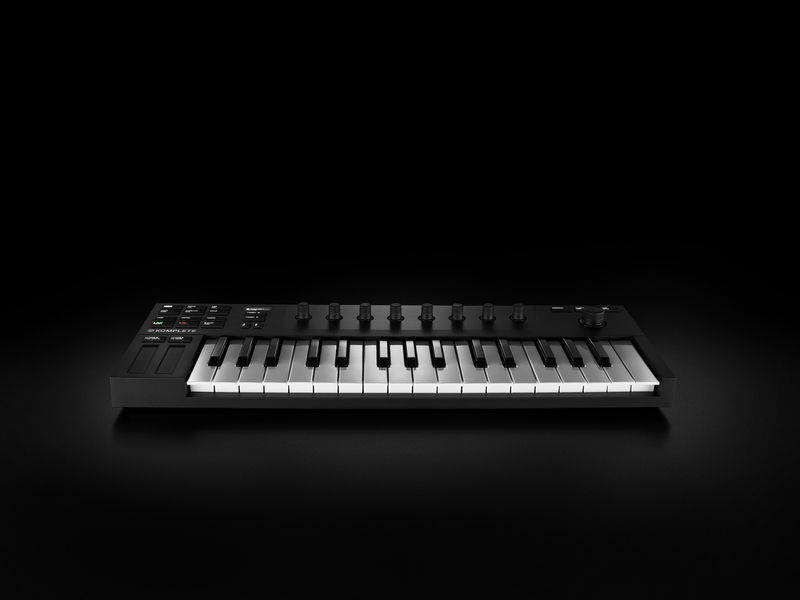 Native Instruments launched the new audio interfaces and the latest addition to their keyboard line as part of some grand, abstract PR idea called “for the music in you,” and said a bunch of things about starting points and ecosystems. 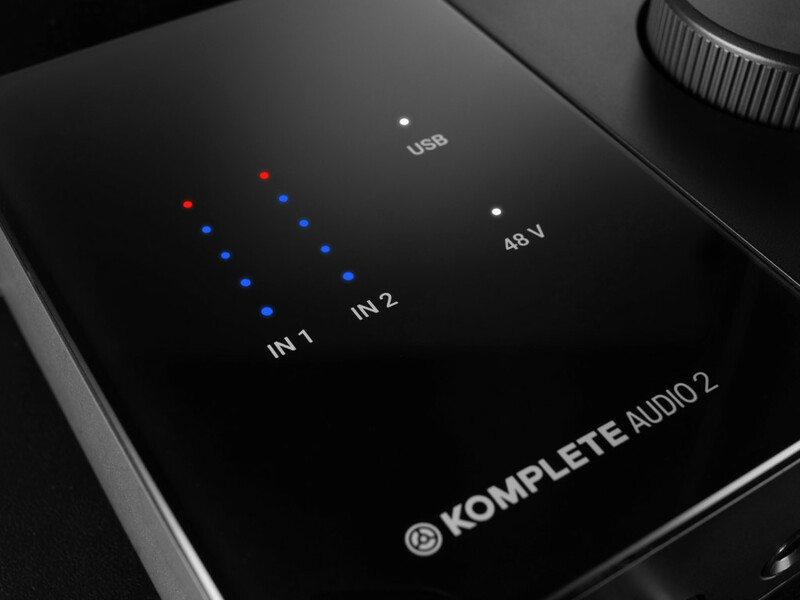 There are two audio interfaces – KOMPLETE AUDIO 1 and KOMPLETE AUDIO 2. 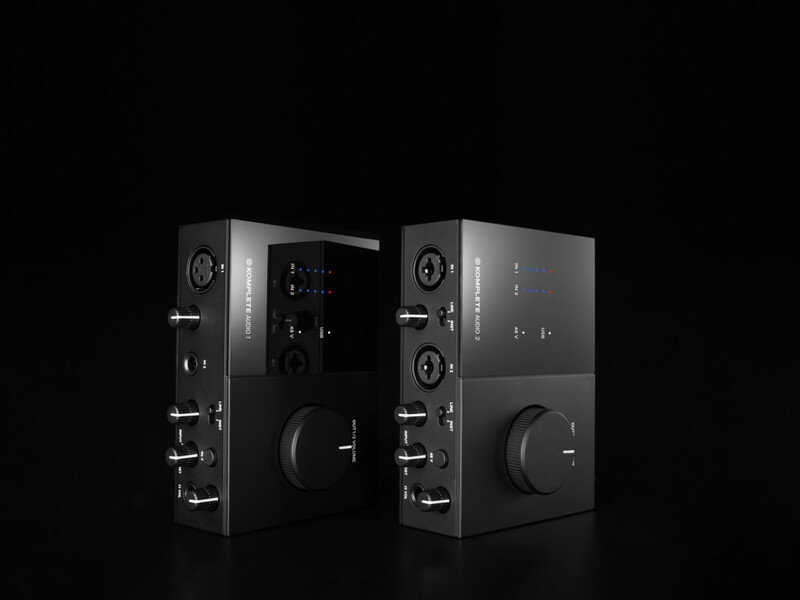 These take one of the best features of NI’s past audio interfaces – they put a big volume knob right on top so you can quickly adjust your level, and they’ve got meters so you can see what that level is. But crucially, they promise better audio quality. There are two models here, but let me break it down for you: you don’t want the AUDIO 1, you want the AUDIO 2. Why? The AUDIO 1 was clearly made with the idea that singers just want one mic input (so there’s only a single XLR in), and for some reason also with RCA jacks on the back (because consumers, I suppose). But if you spend just a little more on the AUDIO 2, you get a lot more usefulness. And you get jack outputs instead of RCA. 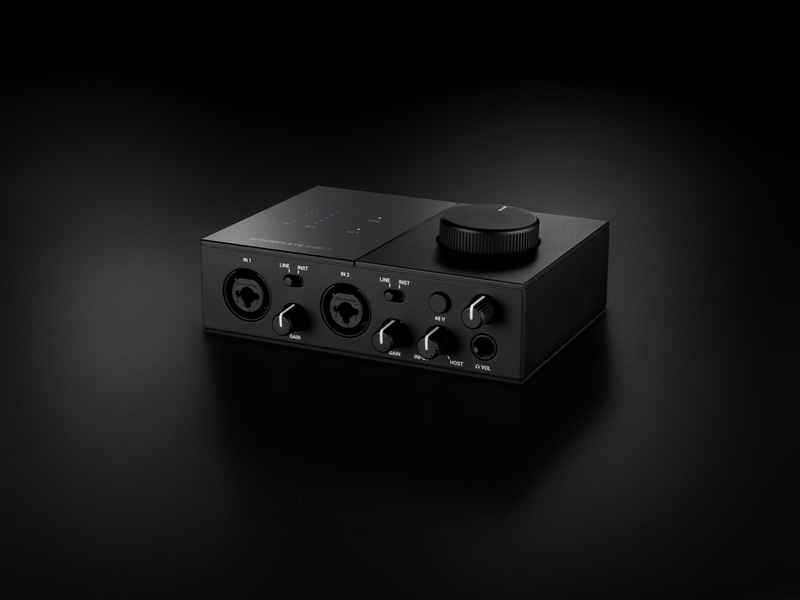 So, quietly, NI just created the most affordable way of connecting a computer and a modular. If you are a beginner, you get a bunch of software to play around with. Ableton Live 10 Lite is actually a reasonable version of Live to try – only 8 tracks, but all of the core functionality of the software and many instruments and effects. There’s also MASCHINE Essentials, MONARK, REPLIKA, PHASIS, SOLID BUS COMP, and KOMPLETE START, which represents plenty of music making time. The price is really the big point: US$109 / 99 EUR and $139 / 129 EUR. Coming in March. If you want some sort of mobile input, there are now some wild multi-touch expressive controllers out there, like ROLI’s Seaboard Block and the Sensel Morph. But what if you don’t want some new-fangled touch insanity? What if you just want a piano keyboard? And you want it to be inexpensive, and fit in a backpack so you can take it with you or fit it on cramped desks? Good news: you’ve got loads of options. Bad news: they’re all kind of horrible. They’re ugly, and they feel cheap. And they have extras you may not need (like drum pads, mapped to the same channel as the keyboard, begging the question why you wouldn’t just play the keys). 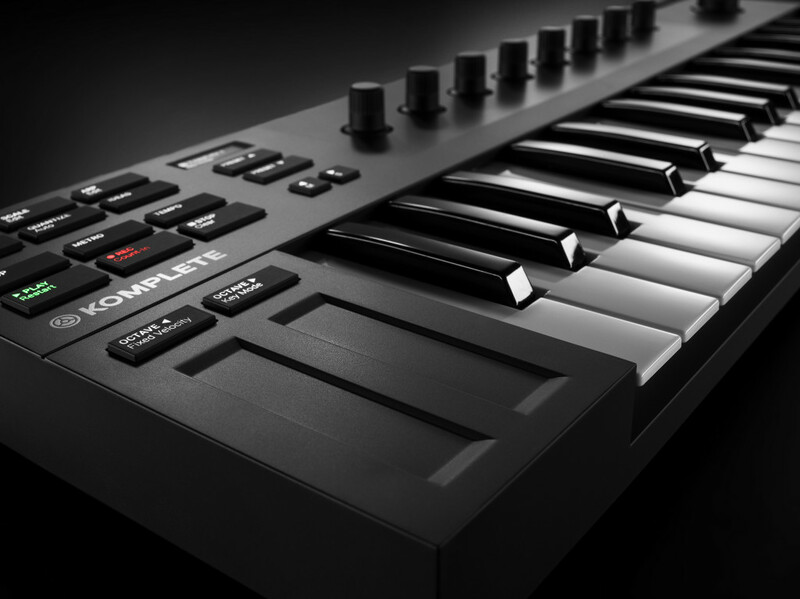 The feel is solid – a bit like some of the mini-key keyboards from Roland/Edirol a few years back. They don’t have the travel of full-sized keys, allowing this low profile, but seemed reasonably velocity sensitive. Plus there are transport buttons and encoders, and two very usable touch strips. In software like Ableton Live and Apple Logic, these map to the usual transport features, and the encoders are assignable. In Native Instruments’ software, of course, you get the usual deep integration with parameters, browsing, and production. The M32 will be a particularly strong companion to Maschine on the go, finally with a small footprint – something simply not possible with a 4×4 pad layout, much as I love it. Speaking of Maschine – this is the full Maschine software. There’s a smaller sound bank, but even that is still 1.5GB. So when they say “Maschine Essentials,” they’re practically giving Maschine away. The other extras I mentioned above are slick, too – Reaktor Prism alone you could lose weeks or months in. Monark is a gorgeous Minimoog emulation with realistic filters and some sound design twists not on the original. And it’s just US$129 (119 EUR). So it looks twice as expensive, but is actually cheaper than a lot of other options out there. NI are trying to tell a lot of stories at once – something about Sounds.com, something about DJs, something about producers… and they’re following us all over social media and Google with constant ads. But here’s the bottom line: this is only compact keyboard at any price that feels good or looks good, it’s still only just over a hundred bucks, and the “beginners” bundle is likely to please advanced users for months. 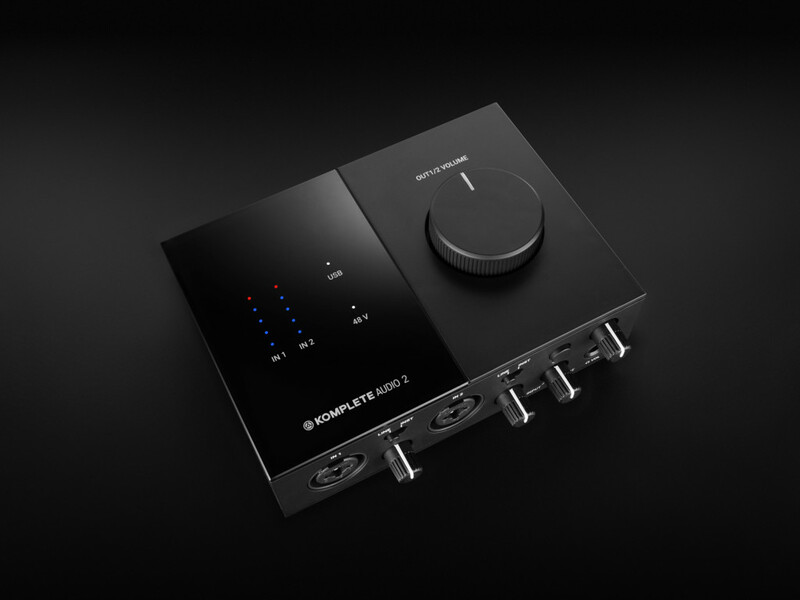 The post NI now has killer, budget audio interfaces and compact keys appeared first on CDM Create Digital Music.